One of our favorite family Christmas traditions is making new ornaments every year. 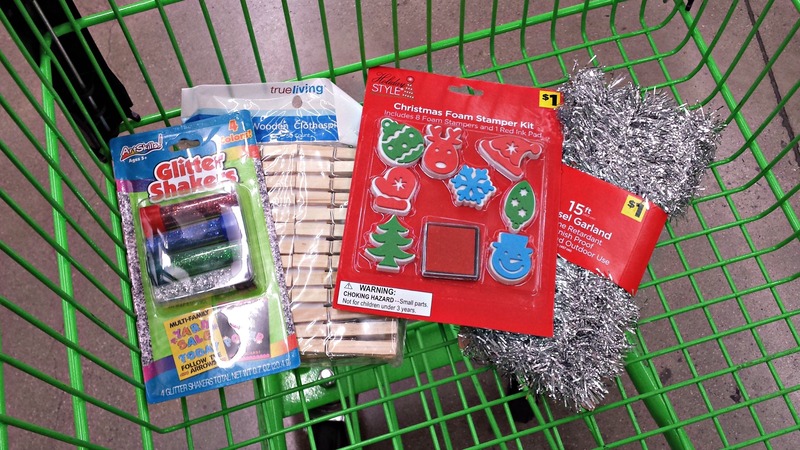 This year we weren’t able to spend more than a few dollars on supplies so I was glad we were able to pick up everything we needed at Dollar General. 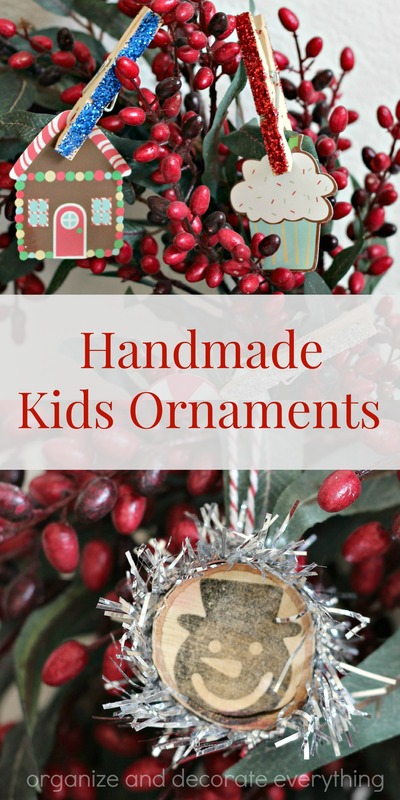 I’m going to share with you some easy Handmade Kids Ornaments that only need minimal supervision. 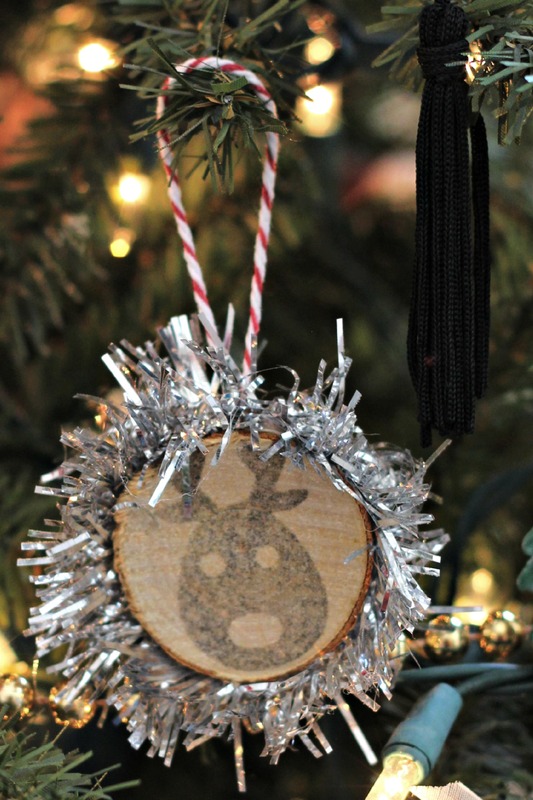 Let’s start with the Wood Stamped Ornaments. 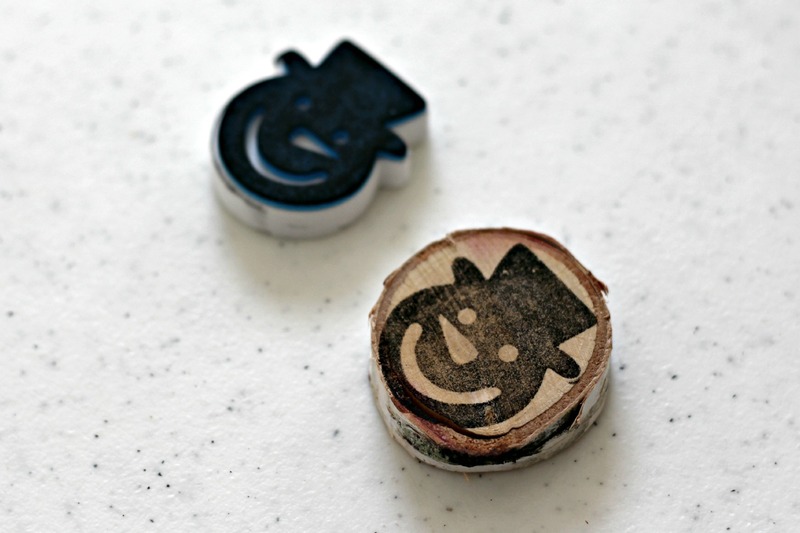 The kit came with a red stamp pad but I used a black one I already had so it would show up darker and look like a wood burning. The wood rounds were cut from a branch that had broken off a tree. 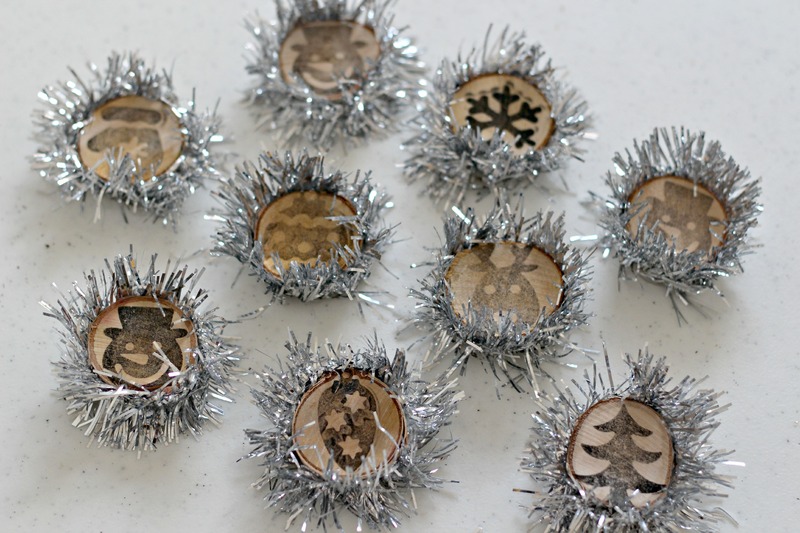 If you don’t want to slice wood you could use anything round for your ornaments, even cardstock, poster board, or construction paper. 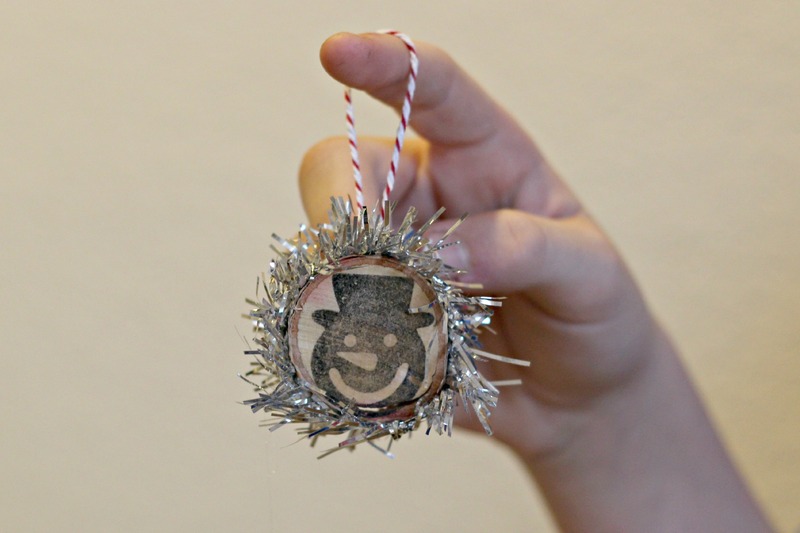 The kids stamped on the rounds then we hot glued tinsel garland around the outside of the ornament. If your kids are young then you’ll need to help them with this part. If they are older you can show them how to use a hot glue gun. 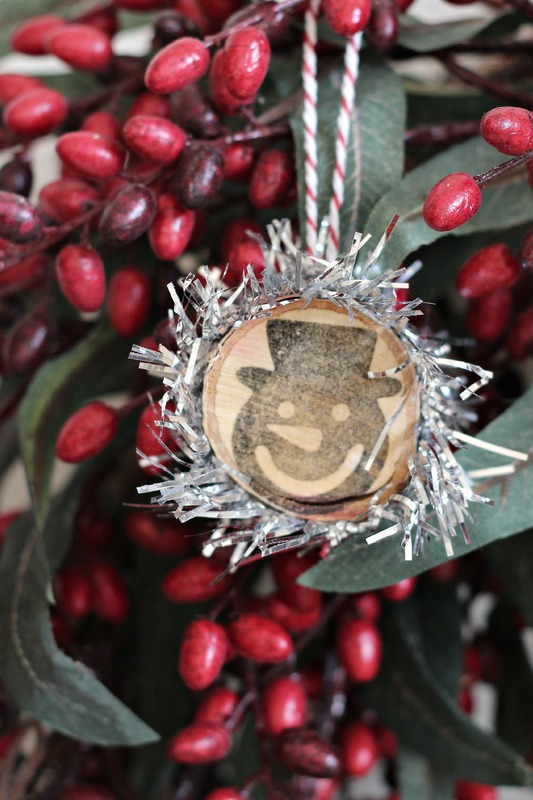 Lastly make a loop with the twine and glue it on the back of the ornament. 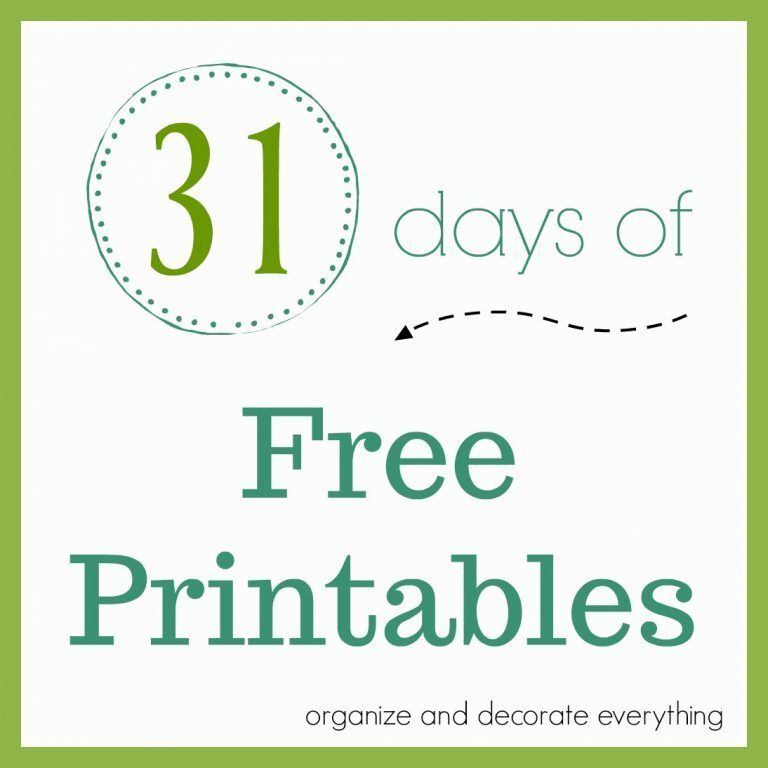 These are so inexpensive that you could decorate a whole tree with them for only $3-4. 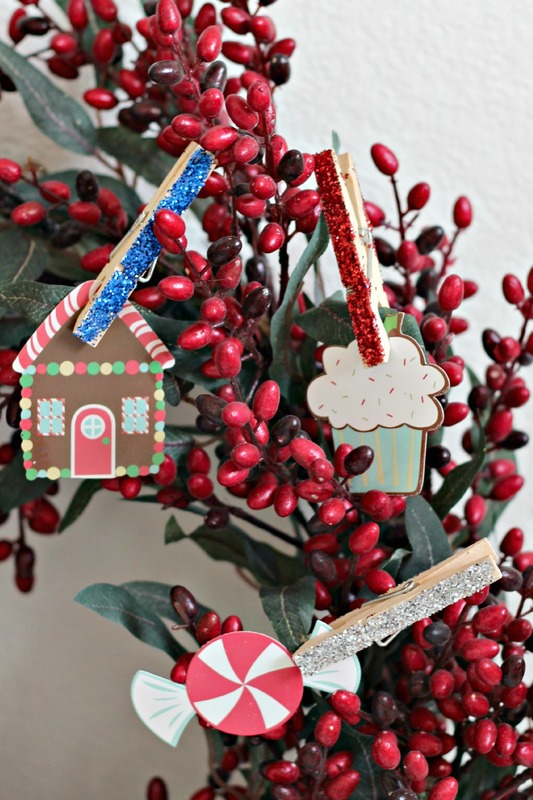 The Glitter Clothespins can be used as ornaments, to hold ornaments, to hold tags on packages, or to make a garland. 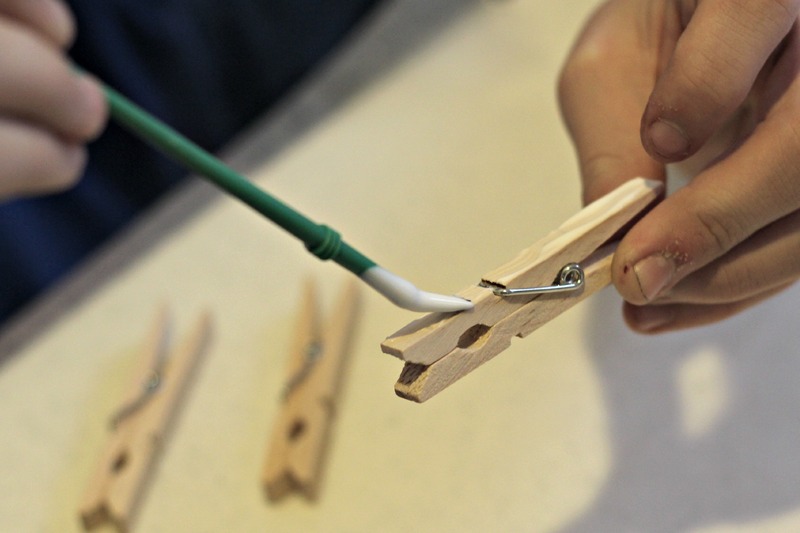 The kids used a paint brush to apply the glue to the top and bottom of the clothespin. 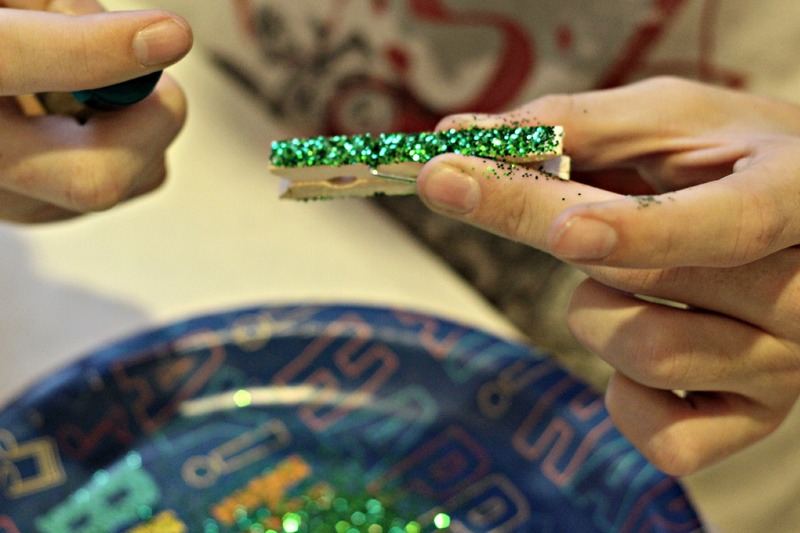 Then just sprinkle glitter over the top on both sides, shake off the excess, and turn it on its side to dry. 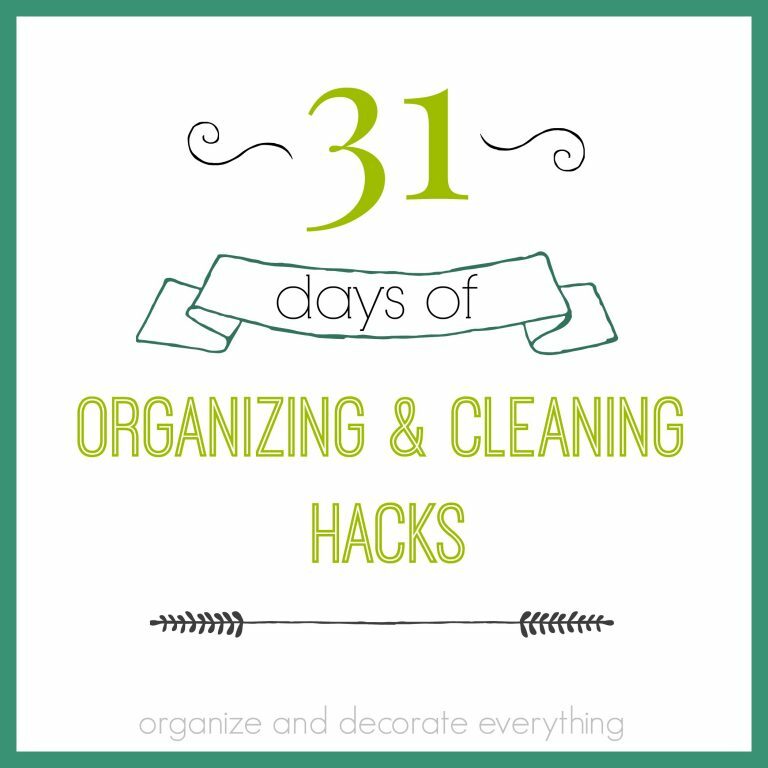 Sprinkle the glitter over a paper plate to make it easy to pour the excess back in the bottle. 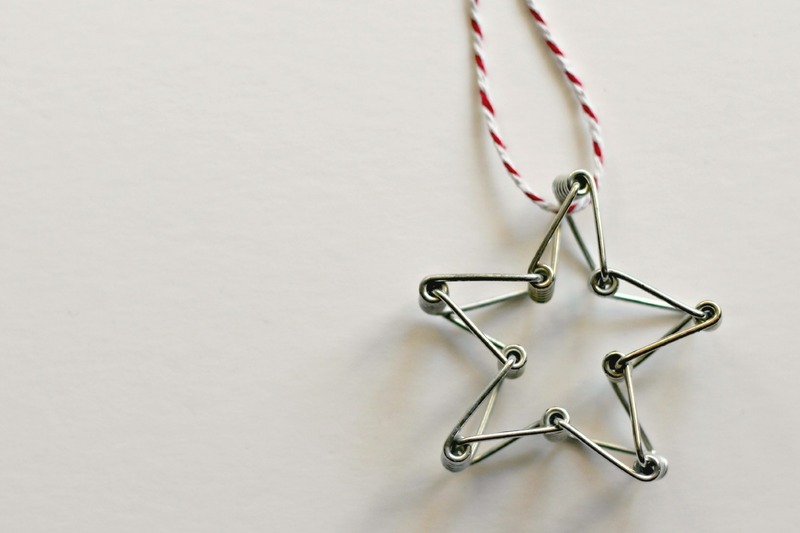 You can also make Clothespin Spring Star Ornaments with the springs from the clothespins. 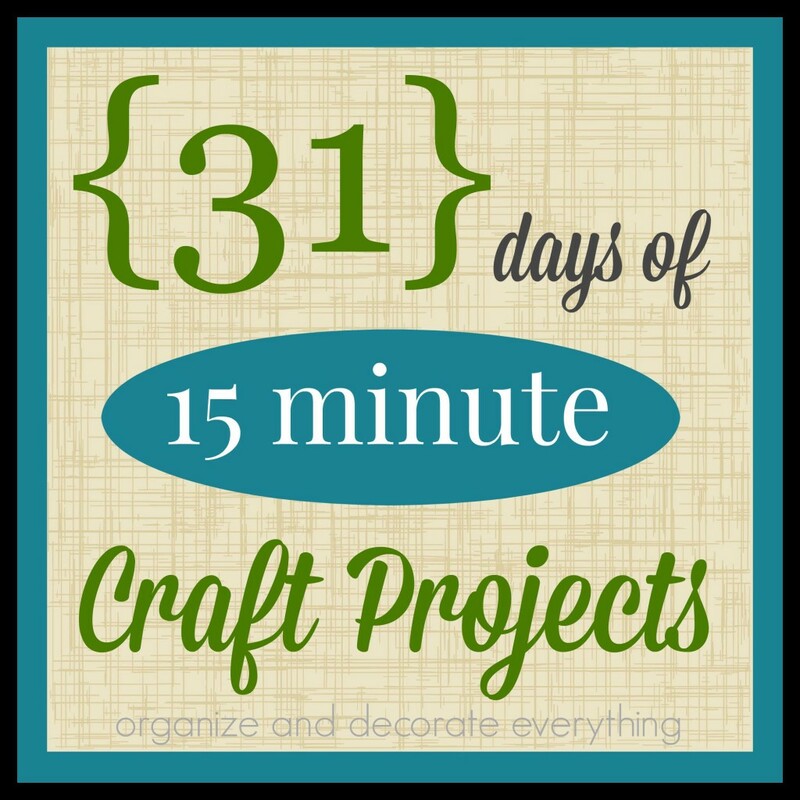 Find out how easy they are to make in this link. 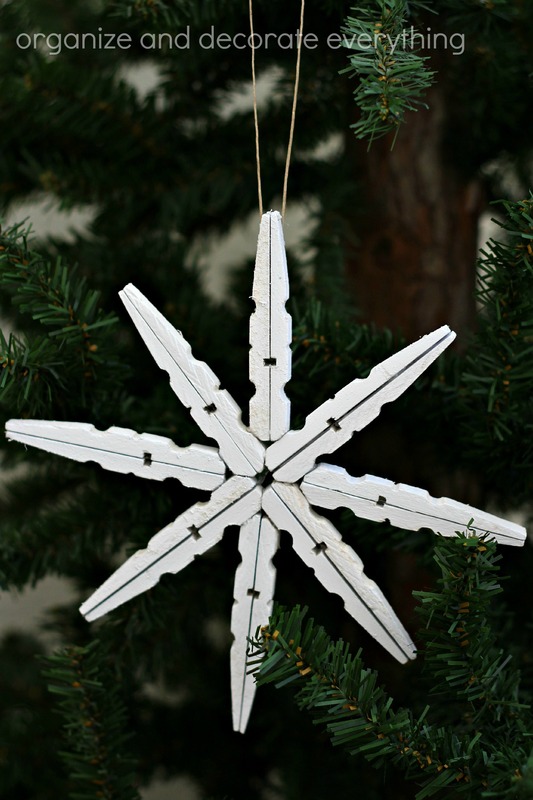 And you can make these beautiful Clothespin Snowflakes. 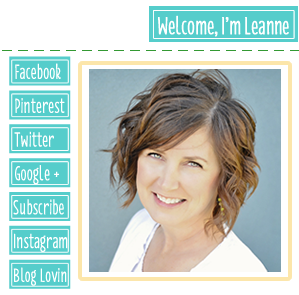 I’ll show you how to make them in a tutorial later this week. 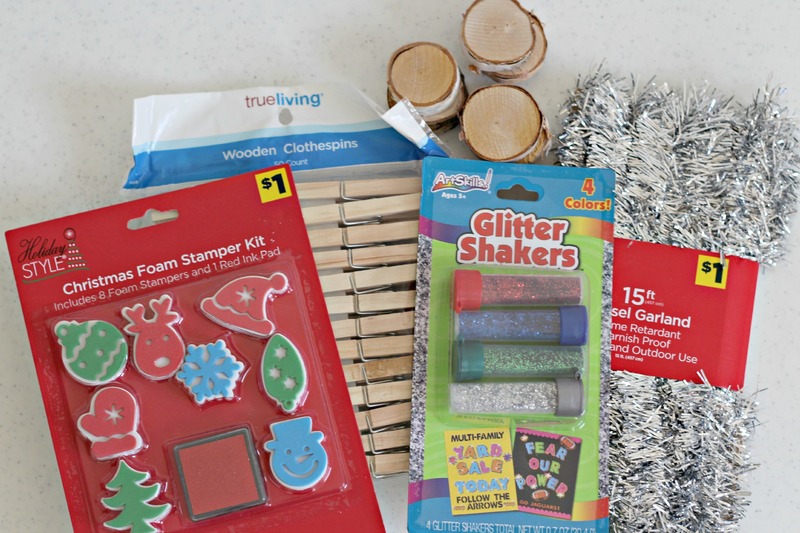 Since Dollar General carries plenty of art and school supplies there are many more ornament options using chenille stems, pony beads, duct tape, toys and so on. 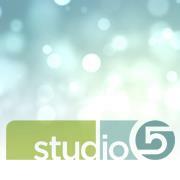 Just check out the art and school supply aisle and let you and your kids imaginations run wild. 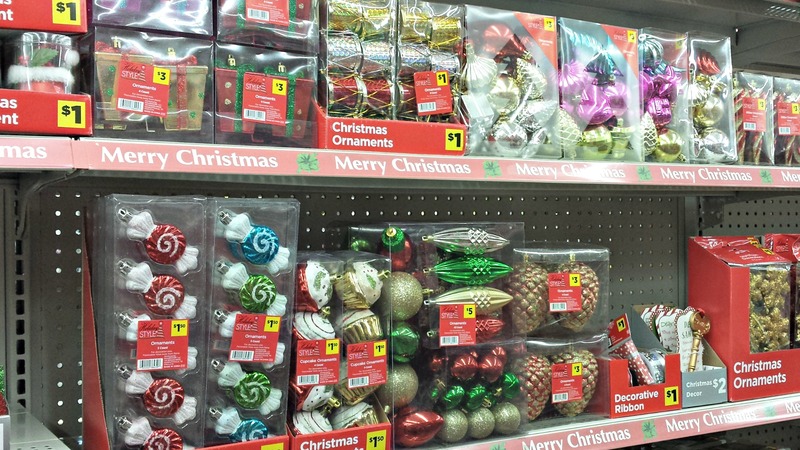 For those of you wanting to purchase your ornaments, Dollar General also carries a great selection of pre-made ones. 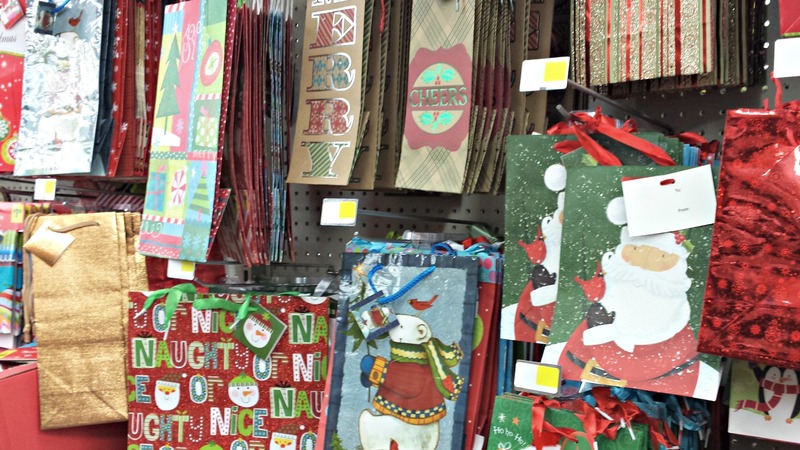 And don’t forget to pick up some last minute gifts and Christmas bags for gift giving.